Pooja Aggarwal earned her B.Tech in Computer Science from NIT, Kurukshetra (India) and M.Sc in Computer Science from SUNY, Buffalo. 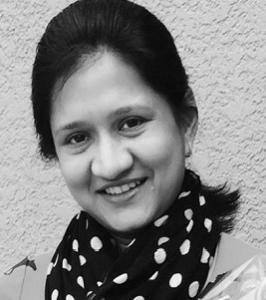 Prior to joining ICSI, Pooja was a Principal Engineer/Manager at Qualcomm for more than seventeen years as a mobile software developer and systems architect. She has numerous issued patents, mostly in the fields of Application Security Design, and Intelligent & Adaptive Mobile Solutions.